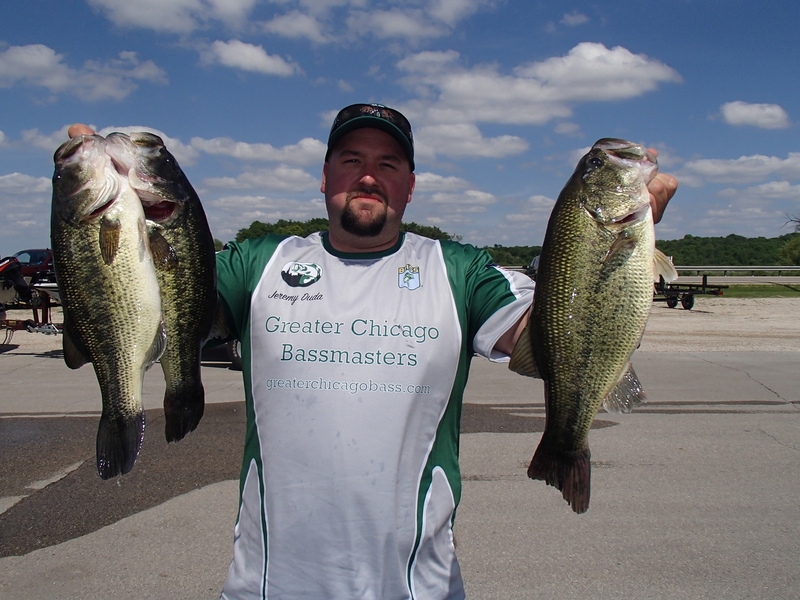 In Greater Chicago Bassmasters, the playing field is leveled by dropping two tournaments per year in the standings. Fortunately for Jeremy and Tim, this rule helped them get through a tough April tournament where most of the field struggled. Tim was unable to bring in any fish on the first day and had to leave before day two because of boat troubles. Jeremy was unable to fish the tournament all together. April just goes to show that you don’t have to win everyday to take the top prize, as long as you keep some strong consistency for the rest of the season. Consistent success started up for both Tim and Jeremy in May. Jeremy was on the first place team for the tournament fishing with Dan Prezembel and Tim was right behind him with a second place team finish fishing with Jeffery Wesolowski. 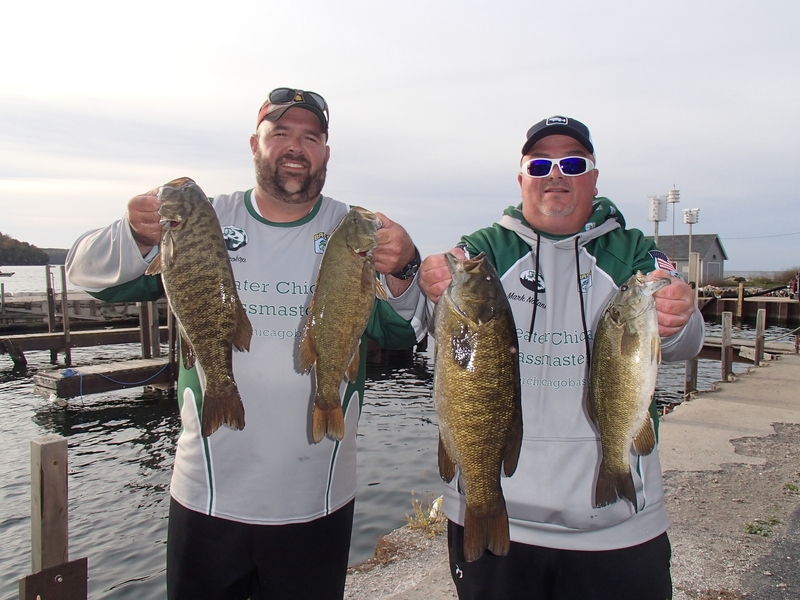 Pewaukee was still a tough tournament, but Tim raked in a 3rd place individual finish with a couple nice largemouth (5.9 total pounds) while Jeremy landed a sixth place finish with his nearly four pounder (3.98 total pounds). 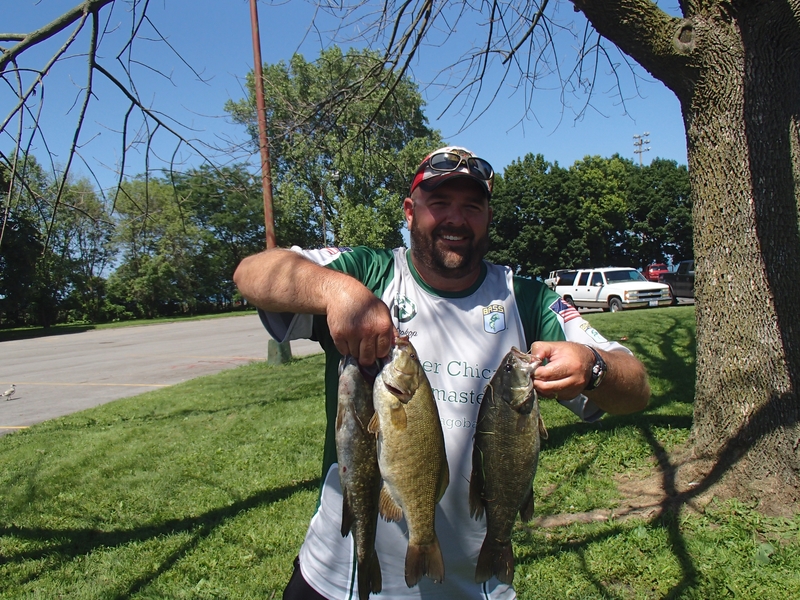 Green Lake was a breakout tournament for the majority of the club. 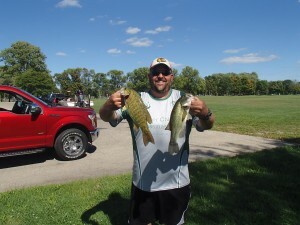 It took Tim and partner Rich Cebulak nearly 50 pounds of fish over two days to win the tournament. 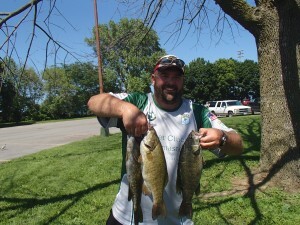 Tim alone pulled in 27.5 pounds of fish to take first individual overall. Jeremy fished a strong Green Lake as well taking third place with partner Andy Thiesse, pulling in nearly 34 pounds of fish between them. 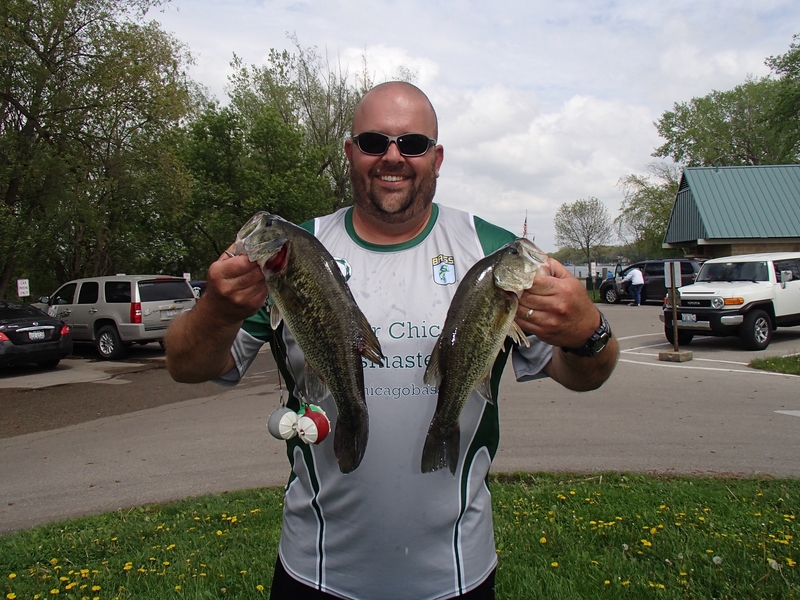 Jeremy alone took fifth place as an individual with his 22.38 pounds of fish over the tournament’s two days. Tim would be the first in line to tell you that Lake Michigan is his home waters. 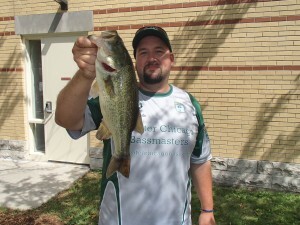 When it comes to the Big Lake, Tim is one of the club’s most respected and trusted anglers. He proved his prowess by taking second place as an individual with 7.33 pounds of smallmouth. For this tournament, Jeremy drew another of the club’s most respected Lake Michigan anglers, Dave Homan. 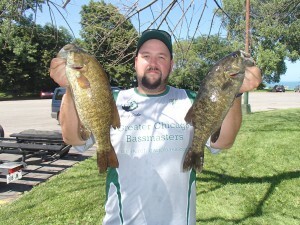 The pair took first place overall and Jeremy locked down fifth place as an individual with 6.24 pounds of smallmouth. Few anglers figured out the waters of Lac La Belle. In fact, Lou Juergens and Rich Arend were two of the only anglers able to string something together. Jeremy fished with Rich and was able to land a couple of fish. Tim, on the other hand, proved that perfection isn’t needed to get to the top as a tough day on the water resulted in an empty livewell, though he was able to put his partner on some fish like all good boaters do. Madison is typically one of the best tournaments of the year for GCB. However. this was the first year the club fished it so late into the season and it proved to be a new challenge. 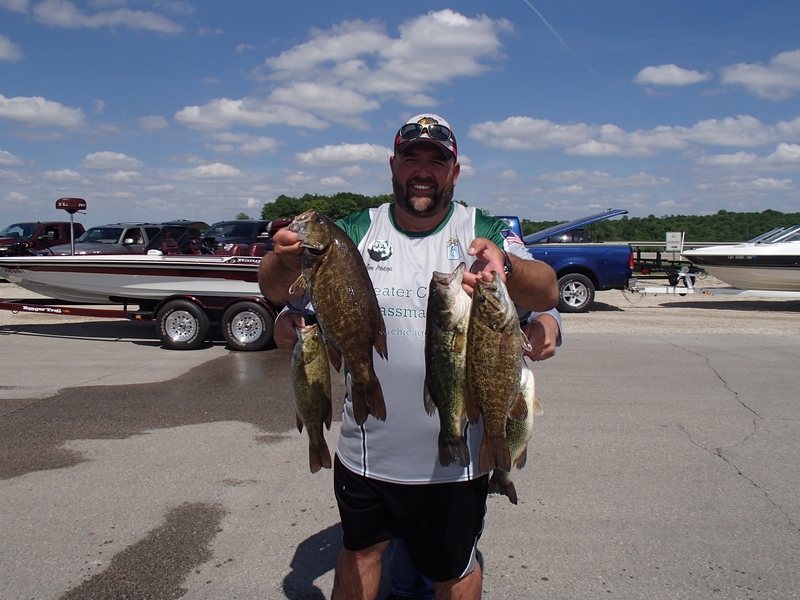 The winning boat brought in a combined 8.10 pounds, a small showing from such a typically strong fishery. 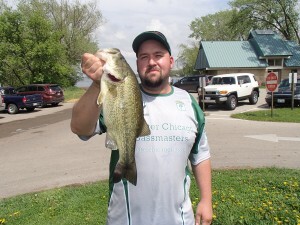 Tim was able to break through a bit with a fourth place individual finish thanks to 3.80 pounds of largemouth. But September was Jeremy’s turn to experience the empty livewell. 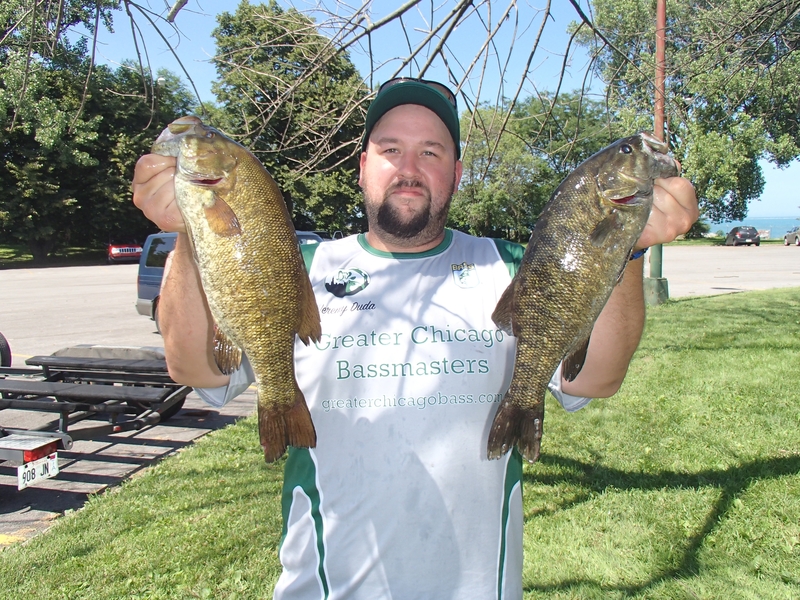 Although the Greater Chicago Bassmasters Classic doesn’t count in the standings, it’s worth mentioning it here as Jeremy and Tim had a phenomenal showing that just further solidified their role as two of the club’s top anglers this year. The photos tell the story here. 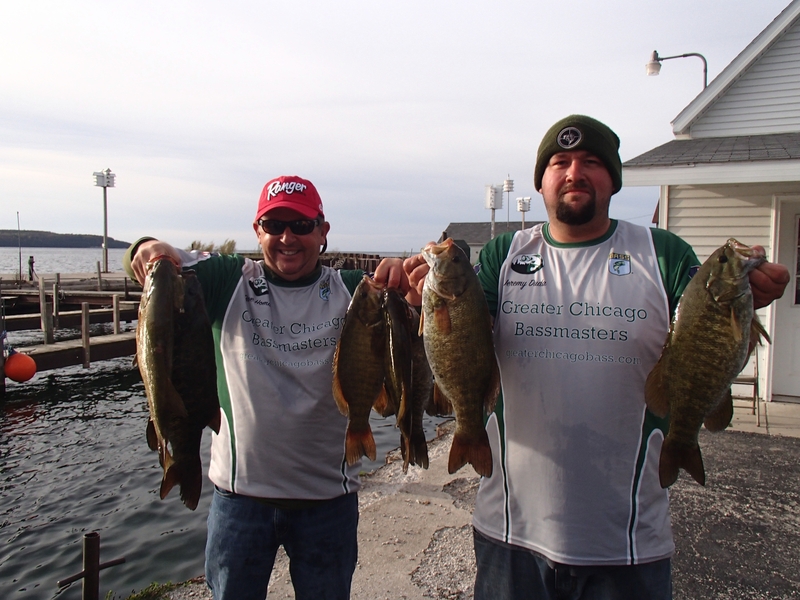 So there you have it, a look at what it takes to be two of the top anglers in the club. By the way, did we mention that Tim also added to his strong year by taking 2nd place at the 6-man state tournament? He’ll be competing in the regional tournament next year! Also, these two anglers deserve a big thank you and shout out for organizing our annual kids fishing event. 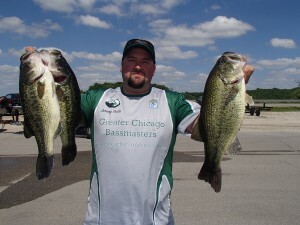 You can view all of the final results from Greater Chicago Bassmasters to see the full standings. 2016 is a brand new season and anyone’s game. Want to join in on the fun? We’re looking for boaters and non-boaters of all skill levels. Learn more here. ← Tim Takes 2nd at State Qualifier!